Excellent for large water bodies! 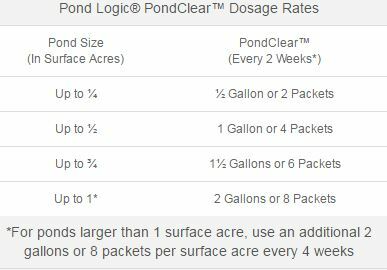 Restore pond clarity, water quality and pond balance with Pond Logic® PondClear™. 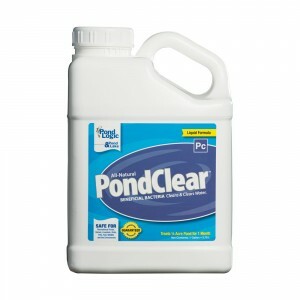 PondClear™ contains specialized strains of beneficial aerobic bacteria that digest organic debris that cause decreased water clarity, muck accumulation & pond imbalance.